When we think about Ramadan, fasting is usually what comes to everyone’s mind. As Ramadan kicks off, you’ve probably already heard “Not even water? !” at least five times. Ramadan — particularly fasting — can be challenging, even for those of us in the best of health. 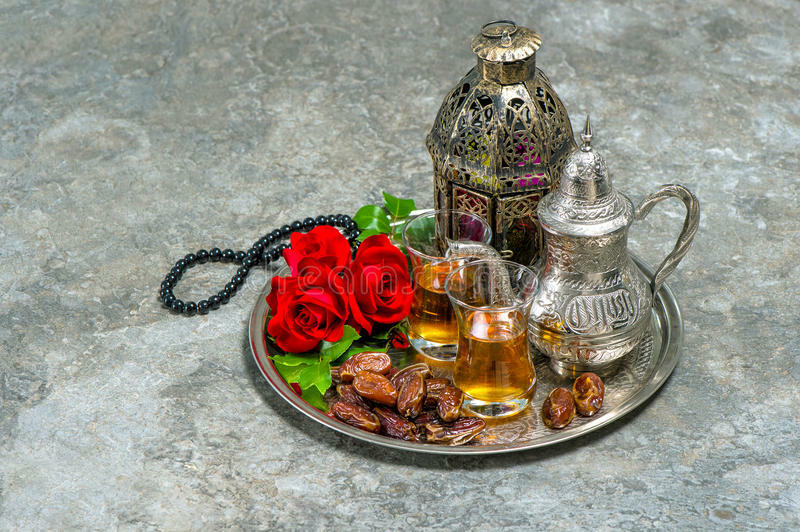 For those of us with chronic illnesses, fasting during Ramadan may not be possible, either due to exacerbations, medications, hospitalizations, or medically necessary procedures. I’ve recently been diagnosed with lupus and a few other secondary ailments. I am taking a low-dose of chemo medication to treat the lupus. With lupus comes inflammation that can affect my organs in various ways, a lot of nausea (further exacerbated by the chemo medications), debilitating fatigue, joint pain, and secondary infections that sometimes require medications and/or hospitalizations, besides the daily medications I take to control my lupus. This is my first Ramadan I’ve had these kinds of physical health challenges, and it falls as I’m trying to cope with a relatively new diagnosis, a million doctors appointments, new medications, bone marrow biopsies, surgeries, and hospitalizations. A good deal of my nights have been spent laying awake wondering how I’d manage to cope with fasting during Ramadan — which incidentally falls during Lupus Awareness Month — and if I’d even be able to do it. It’s also my first Ramadan that my husband and I get to experience together, as we were on two different continents for our first Ramadan while he was waiting for his visa. The idea of potentially not being able to fast — and share that experience with my husband for the first time — broke my heart and filled me with grief. I became determined to fast, no matter my situation, but my husband urged me to speak to my doctor first. When I spoke to my primary care physician, who’s also Muslim, about fasting and if it would be okay for me or not, he saw how dejected I was when he advised me against it. (Though he gave me some guidelines to follow if I do attempt it; I’ll be taking it on a day by day basis.) He quickly reminded me that Allah has lovingly made ways for us to gain the blessings of Ramadan, even if we can’t fast. While it’s natural to feel sadness and grief if we can’t fast, we shouldn’t isolate ourselves or be ashamed of not fasting, or worse yet, write off Ramadan altogether just because we can’t fast. There are still plenty of ways we can have a fulfilling and productive Ramadan, especially if we remember that although Allah has ordained fasting, our religion provides us with plenty of opportunities to participate in Ramadan. Really, there’s truly no need for us to feel left out. Here are some tips I’ve come up with to cope if you find yourself in a similar situation this Ramadan. Be gentle with yourself and remember that your body has a right over you. Taking care of our health and our bodies is an obligation for Muslims. The Prophet Muhammad, PBUH, said that your body has a right over you. This means you need to get adequate rest and take care of yourself — including in Ramadan. If fasting is harmful for you, you shouldn’t do it. Taking care of Allah’s creations, yourself included, is part of being a Muslim. “If fasting makes your medical condition worse, don’t fast. If skipping medication will hurt you, take your medicine. Self-infliction of wound, pain or injury is not expected,” says Dr. Zulfiqar Ahmed, a Michigan anesthesiologist. Always, always ask your doctor if it’s safe for you to fast or not. If you’re under the care of a doctor, it’s vital that you talk to your doctor about fasting. Your doctor can advise you whether or not he or she thinks it will be safe for you to fast. Fasting during Ramadan may exacerbate some illnesses or cause you to have a flare. For example, someone with gastroparesis (stomach paralysis), can become very ill by taking in all their hydration and nutrition in a large meal like suhoor or iftar. It may be medically necessary for them to eat multiple smaller meals throughout the day so they do not become sick. Ask your doctor about changing your medications. If you usually take medications multiple times during the day, ask your doctor if there’s an extended release formula. If you’re on antibiotics or anti-inflammatories, you can ask about once-daily doses. Medications in the forms of inhalers, eye or ear drops, creams, patches absorbed through the skin, or injections not used for nutrition are usually okay and will not break your fast. Be sure to consult a reputable source for more information if you have further questions about the permissibility/impermissibility of something. If your situation is temporary and you’ll be able to fast in the future (inshallah! ), you can make make up missed fasts at a later date. If you’re unable to fast due to a temporary situation like pregnancy, a chronic illness flare, or an infection, you can make up your fasts at a later date. The Quran states “…and whoever is ill or on a journey, the same number [of days which one did not observe Sawm (fasts) must be made up] from other days. [al-Baqarah 2:185]. Remember that if you cannot fast, you can pay fidyah. If you miss fasts out of necessity, such as an illness, pregnancy, or old age, and cannot make up the days at a later time, you can pay fidyah. Fidyah is paid by either feeding someone in need or paying for them to have a meal. The current rate is £5 (GBP)/$10 (USD) per day or £150 (GBP)/$300 (USD) for the entire month of Ramadan. If you truly cannot afford fidyah, you can offer duas (supplications). Don’t be ashamed if you can’t fast. In some cases, not keeping your fast may be your religious obligation. Do whatever you can to make it a festive month. It’s easy to feel like Ramadan just isn’t Ramadan without fasting, so get festive and surround yourself with physical reminders that it’s Ramadan. Ramadan is still Ramadan, even if you aren’t fasting! Make it a special time, because it is a special time. Hang Ramadan wreaths and decorations in your home, beautify your prayer area, put fresh flowers on the table, wear your best clothes, use a Ramadan planner, or light some lanterns or candles. If you can’t fast, there are other ways to worship and participate in Ramadan. Focus on what you can do, and not what you can’t. Fasting is undoubtedly a major part of Ramadan, and it can be grief-inducing when we can’t participate in this beloved part of Ramadan. But fasting isn’t the only way to worship during Ramadan. Praying, acts of charity, dhikr, visiting other sick people, attending lectures or events at the mosque, watching khutbas and Islamic lectures online, and reading, listening, or reciting Quran are all wonderful ways to have a productive and fulfilling Ramadan, even if you can’t fast. May Allah accept from us and may this be our best Ramadan yet!